You may remember that, at the beginning of this year, I expressed some dismay about the coining of the term Hi-Res Audio, or HRA, by America’s Consumer Electronics Association, and the rather lacklustre showing for all things high-resolution at the CES 2014 show. Now, it seems, the CEA is having another crack at defining what is – and isn’t – high resolution, just in time for outlets such as HDtracks to reach Europe (or at least do so officially) and the impending launch of the much-heralded Pono Music system of masters, downloads and player. The organiser of the annual CES trade show (among its other functions) is supporting the Digital Entertainment Group, another US-based industry body, and The Recording Academy (which is behind the annual GRAMMY awards) to create ‘a formal definition for High Resolution Audio’, designed to enable ‘a unified approach in offering digital music services a variety of information concerning the growing number of hi-res music titles being distributed today’. Except I can’t help but think they’re about to shoot themselves in the foot again with their new Master Quality, or MQ, designations, designed to ‘help provide more clarity about HRA for consumers’. Better than CD – from CD? Mark that ‘mastered from better than CD quality music sources’, because one of the four ‘descriptors’ this industry meeting of minds has come up with is ‘MQ-C’, which is described as high-resolution audio ‘From a CD master source (44.1 kHz/16 bit content)’. The others are MQ-P, which is ‘From a PCM master source 48 kHz/20 bit or higher; (typically 96/24 or 192/24 content)’; MQ-A ‘From an analogue master source’; and MQ-D ‘From a DSD/DSF master source (typically 2.8 or 5.6 MHz content)’. OK, so at least the new labels will make clear the source of the recording – sort of –, provided the consumer is savvy enough to know the difference between PCM and DSD, for example, or between 48kHz/20-bit and 96kHz/24-bit. However, what the new system looks set to do is legitimise releases upsampled from CD quality to ‘HRA’ as genuine high-resolution: after all MQ-C is still going to be labelled as Master Quality. In other words, the new codes are a bit like the old SPARS labelling on CDs – AAD, ADD, DDD and so on – in that they don’t tell the whole story. You see, the whole high-definition audio market is a mess at the moment, with some products only playing up to 24-bit/96kHz, some only playing some formats over some delivery methods (e.g. from USB but not over a network, or via wired Ethernet but not Wi-Fi, via S/PDIF but not USB, and even supporting different formats depending on which flavour of USB you happen to use), and some supporting DSD while others don’t. Then there’s the whole flakiness of UPnP and DLNA, with some servers not seeming to work with some network players and not others, the vagaries of how tagging and transcoding are handled, and so on. Every company, both computer and consumer electronics, seems to add its own little twists to the standard, and the result can be confusion and frustration. As I said in a blog piece long ago and far away in a different life, it seems Universal Plug’nPlay is neither as universal as it might suggest, and sometimes far from plug’n’play. Ask anyone who’s struggled to get their shiny new NAS to talk to their network player, their network player to handle the files it says it can see – and don’t even get me started on the frustrations of tag-handling. What’s needed, apart from truly universal interoperability as a standard, is a labelling system able to show buyers one simple thing – not where or how the recording was sourced, but what will play on what. Or, even better, some rapid upgrading of current hardware so that whatever you throw at it, your equipment will play it – you know, just like CD was before the great and the good of the consumer electronics industry starting adding graphics formats to discs, or copy-protection designed to create for pirates, but actually stopping CDs playing on some hi-fi hardware. On which subject, I have to report some refreshing candour on the part of Downloads Now, which I mainly use as the ‘shopfront’ of DSD-championing Blue Coast Records, and for its promotional prices on hi-res downloads from the excellent house label of the San Francisco Symphony. 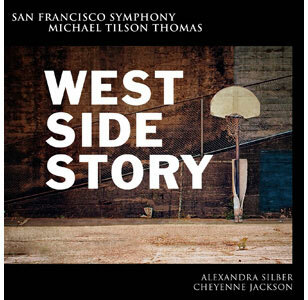 Going through the Downloads Now site to buy the new recording of West Side Story – which comes highly recommended, by the way – from the Symphony’s own site, you’ll see that the recording is available at the moment in 16-bit 44.1kHz WAV, 24-bit/96kHz WAV or FLAC, and a choice of 2.8MHZ DFF or DSF DSD formats, all at the same price of $25. So, the DSD is the one to go for. then? Not so: the site says that ‘West Side Story was originally recorded to 9624 PCM. The 9624 WAV files are the original digital file generation sent to us. The DSD and FLAC files are considered second generation and made from conversions using our Blue Coast conversion methods. DSF and FLAC will offer the convenience of metadata that the WAV and DFF files will not. So, the 24/96 WAV it was, then, opening up an interesting price comparison between the various sites offering it. The SFS site has it, as already mentioned, at $25, or about £14.70, as ‘Special Introductory Pricing Through June 25, 2014’ – which price will, on the past form of the orchestra’s excellent Mahler series, double when the promotion runs out. Meanwhile Linn Records has it at £18 in FLAC or ALAC 24/96, and £10 in FLAC or ALAC 16/44.1 CD quality; and Qobuz at €15.99 (£12.77) in 24/96 or €11.99 (£9.57) in CD quality. Me? I bought it last weekend from HDtracks, with not a sniff of the geographical blocking found there on some labels’ titles, for $17.98 (£10.57) in 24/96 WAV form. Even better, one of that site’s frequent 10% off codes brought that down to $16.18, or £9.51. So it seems when hi-res downloads become more readily available – as they look set to be this year – a spot of shopping around will pay off: you’ll get the music you want, in a format suitable for your equipment, at the best price. And that’s something else with which the new ‘descriptors’ won’t help, either. and similar comparisons available on other sites. Timely post as many of us struggle with this madness. I converted my large SACD collection to DSF files years ago. I sold my Naim boxes and moved to Devialet. However Devialet may or may not add DoP so one can use their DSF files, so as many have done or will do, I find myself on verge of converting my DSF files to 96kHz/24 via dbpoweramp codec. There’s much to be said for the fast moving world of digital audio, on other hand there’s the twinge of reminiscence for far simpler times before the geek and tweak IT business encroached upon our music loving lives.